Walking on trails in our woods, learn to identify, collect, and process winter edibles such as Birch, Chaga, and frozen greens/berries. 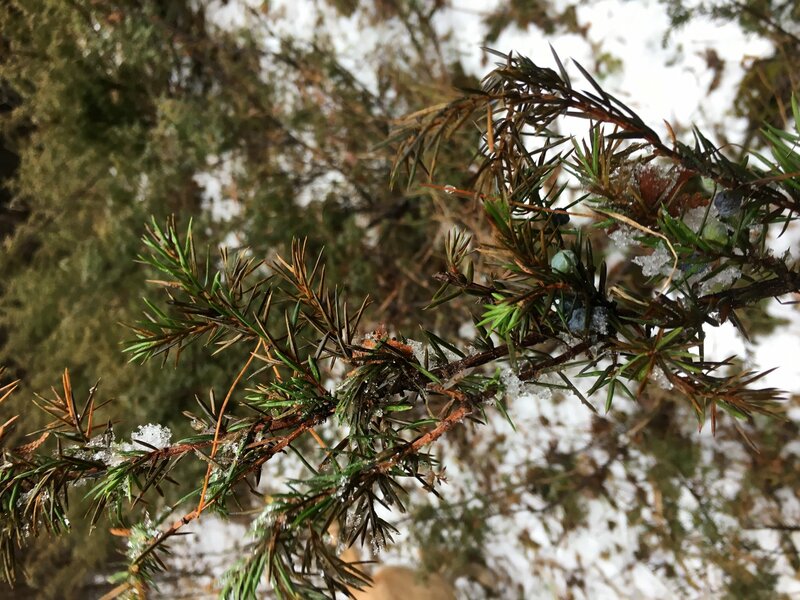 We’ll forage for pine needles to make an indigenous cough syrup with Topsy honey. We will clean, boil and process the needles in the Yurt and learn more about preservation, and preparation while warming up. Bring appropriate warm clothing, winter gloves, and mitts. Also bring collection basket, mesh bags, paper bags, scissors etc. and mason jars with lids. If snow is heavy, bring your own cross-country skis or snowshoes if possible or ask us.